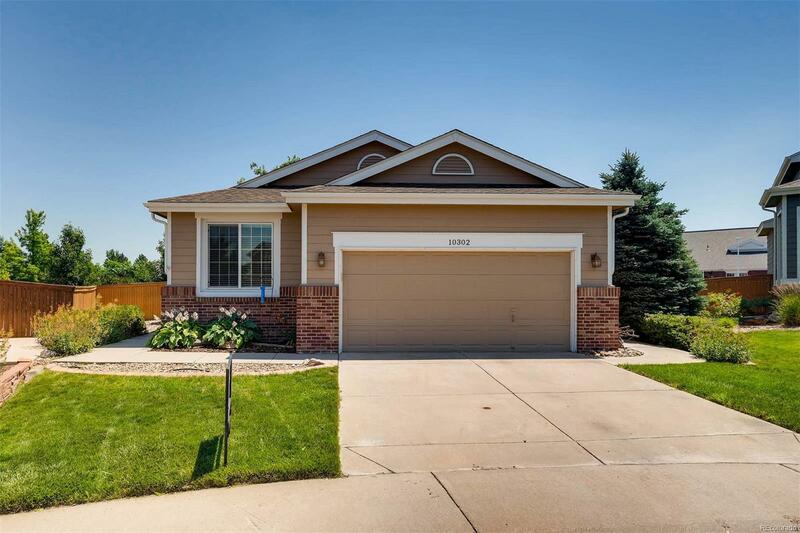 10302 Kelliwood Way Highlands Ranch, CO. | MLS# 7389850 | Whether Buying, Selling or Building Call an experienced Professional. I am at your service. Outstanding Property, Remodeled kitchen with granite tops, stainless appliances, gas stove, Maple cabinets, hardwood floors in kitchen, living and dining rooms, gas fireplace, remodeled master bath with granite tops, extensive use of custom tile, double vanity and over sized shower, newer windows, Fully finished basement which could be a 3rd bedroom-media/family room/office, full bath, spacious laundry room with cabinets/storage and folding table. The back yard sports a large trex deck, concrete patio, raised garden area, mature trees including fruit trees, storage shed and sidewalk from the patio to the driveway, concrete border, sprinkler system, gas line run for a fire pit. The front entry area lends itself for a private deck off the front door. The home illuminates with natural light.